Debi Foli attained her Bachelor of Science degree in Natural Health/Business after attending Charter Oak State College, Arizona State University, California State University at San Marcos and others. Debi Foli is a Certified Nutritional Consultant (CNC), a diplomat member in good standing of the American Association of Nutritional Consultants. Debi is a Registered Naturopathic Diplomat (RND) and Traditional Naturopath (NP). She is a professional member in good standing of the National Association of Nutritional Professionals (NANP). In her training she studied anatomy, physiology, chemistry, biology, nutrition and disease, naturopathic toxicology, blood chemistry, saliva testing, herbology, homeopathy, tissue and cellular detoxification, biology of cancer, endocrinology, contemporary ethics in health care, regulatory and accrediting agencies in health care, and medical terminology. Board Certifications: American Association of Drugless Practitioners (AADP) and American Alternative Medical Association (AAMA). Being raised in a home where generational obesity and type II diabetes strickened many family members including her mother who died at age 58 because of it, Debi has determinedly and through many years of pain-staking struggle, overcome the battle for her health. Knowing with first-hand knowledge that solid Straight Nutritional support and counsel can make ALL the difference in your health, Debi went back to school to educate herself to provide the same type of care that her mother received which supported her loss of over 100 pounds and freedom from insulin injections prior to her early death. By controlling the food through self-discipline and nutritional support even diabetics can live drug-free and with Vitality! Knowing how many “diets” promise outrageous results, Debi works to simplify choices offering a solid, Science-Based approach to nutrition that works for lasting results without the hype and unrealistic results that don’t last. Lifestyle change requires 1) a stronger reason or “why” than the food in front of you 2) emotional support 3) a solid meal plan with portion control 4) nutritional supplementation that fills the deficiencies that create the cravings that stumble us. 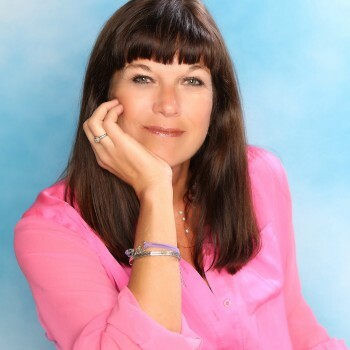 Former Retail Buyer and Retail Marketing Manager for Y-95 FM in San Diego, CA, Debi Foli has worked in the natural health field since 1991 and is a home-birthing mother of three. Debi has been involved in the drugless, natural health and whole food industry since 1991 and created her practice, Straight Nutrition, in 2002.